We are proud to introduce our new Fisherman's Smock. This venerable piece of workwear has been an essential outer layer for British fishermen for over a century, but it has also been popular with painters, sculptors, potters, craftsmen… and shopkeepers! So what is it and why do we like it? The fisherman’s smock is a classic example of functional, utilitarian clothing. 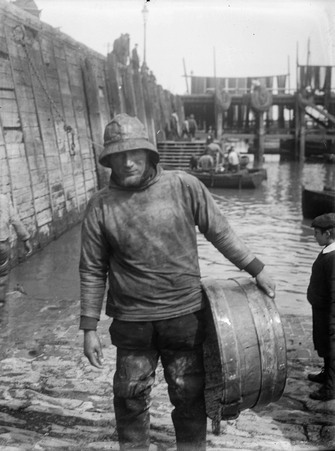 The Folkestone fisherman pictured above is wearing the traditional pocketless version. Smocks were originally cut from sailcloth, making this garment a strong and sturdy extra layer. This kept the wearer warm and dry, protected his woollen jumper, and was comfortable and easy to work in. The slightly shortened sleeves prevented the cuffs getting wet - a feature also seen on Guernsey jumpers and Breton shirts - while the tight fit and high neck ensured maximum protection from the elements. By 1910, the heyday of the herring industry, smocks were being supplied to fishing communities throughout Great Britain. But it wasn’t just a uniform for fishermen to work in - the practical, utilitarian nature of the fisherman’s smock meant it was adopted by many artists and artisans. The cheap, tough, easy to find smocks provided the perfect protection for artists as well as sailors. 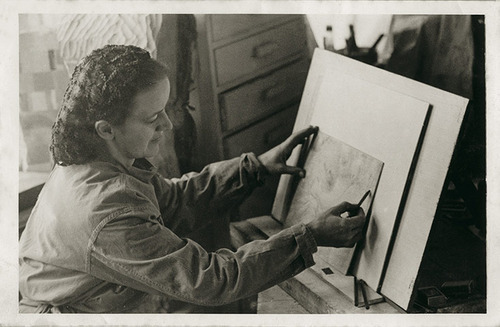 Here, sculptor Barbara Hepworth wears a smock as she sketches. In the early decades of the twentieth century, St. Ives in Cornwall became a popular destination for artists. 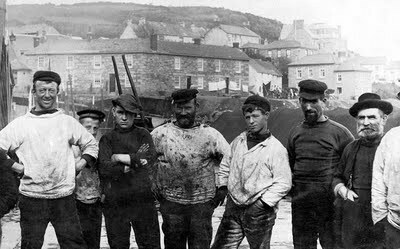 We can well imagine they were inspired by the clothing worn by local mariners, such as this rather motley bunch from along the coast in Mousehole, whose white smocks betray their sailcloth origins. In-keeping with these origins, our smocks are also made from sailcloth fabric, which washes and ages beautifully, very much like good denim. The only alteration we have made to the original are longer sleeves and a triple patch pocket. Whether for sailor or sculptor, the fisherman’s smock remains a functional and timeless garment. 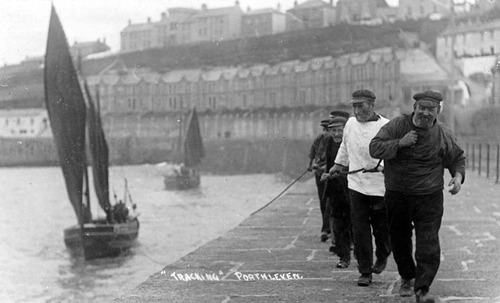 Pictures from the National Maritime Museum Archive and the Pentreath Photographic Archives. 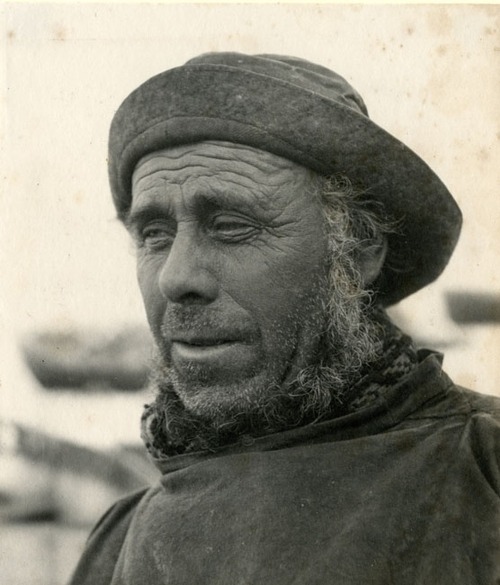 Photograph of Eli Farrow the fisherman by Walter Clutterbuck, from the Norfolk County Council Library.